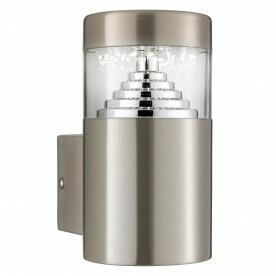 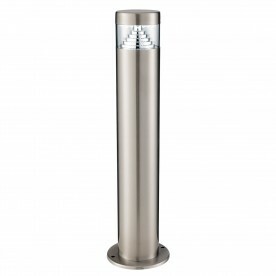 This Stainless Steel 30 LED Outdoor Wall Light with Clear Polycarbonate Diffuser uses the latest LED technology to light your outdoor walls and garden. 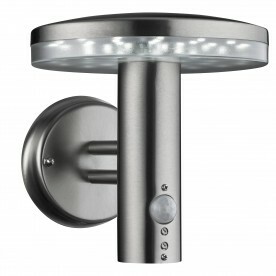 The sleek stainless steel fitting features 30 energy saving LEDs in a stylish cutaway, which features concentric chrome circles, whilst providing a bright and attractive cylinder of light. 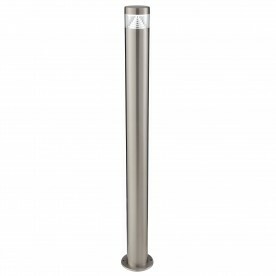 It is attached to a sturdy square backplate and is IP44 rated and fully splashproof to protect against the elements.